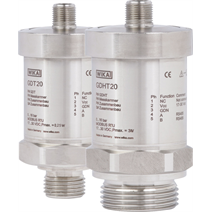 Two new transmitters from WIKA provide the foundation for continuous, digital monitoring of the quenching and insulating gas sulphur hexafluoride (SF6). 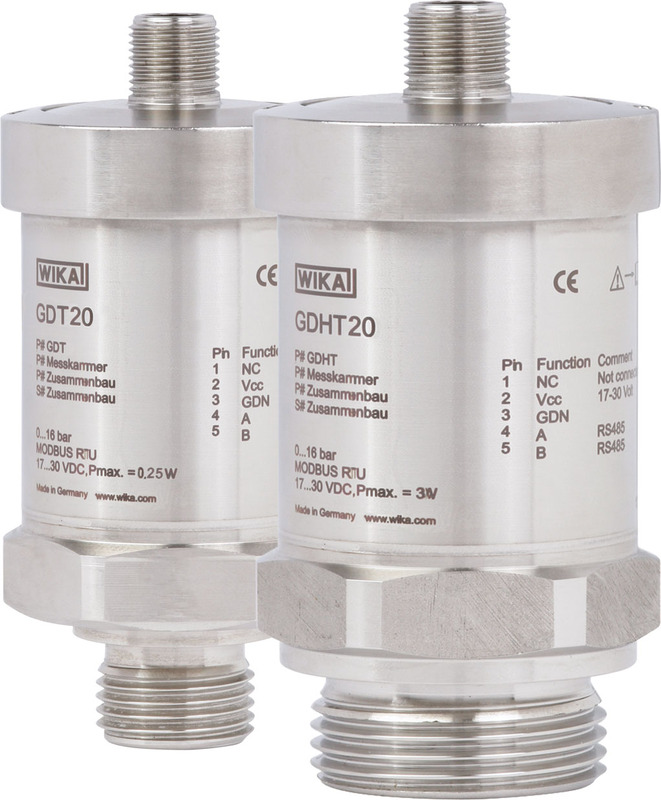 The models GDT-20 and GDHT-20, with their MODBUS® signal, give a clear indication of the SF6 condition of gas-insulated equipment and thus enable maintenance to be planned solely on demand. Based on precise pressure and temperature measurement, the two new transmitters constantly calculate the density of the SF6. Thus, even the smallest leaks are identified at an early stage. 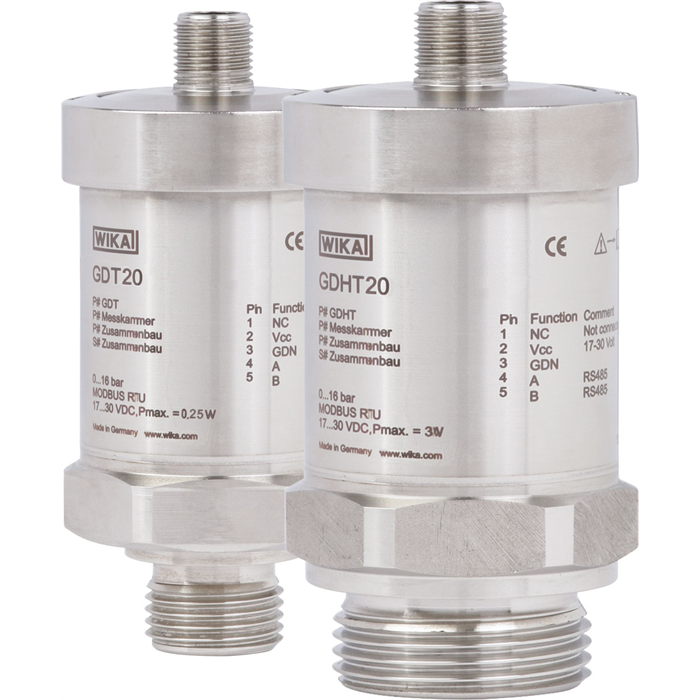 The model GDHT-20 also measures the gas humidity, so that the formation of corrosive decomposition products can be prevented. If the equipment is filled with SF6 gas mixtures, such as SF6/N2 or SF6/CF4, both instruments can be configured by the customer. The continuous monitoring of SF6 from the control room gives the foundation for condition-based, and thus cost-optimised, equipment maintenance. The digitised measuring process brings a further advantage: By using the standard MODBUS® RTU protocol, the data of up to 247 instruments can be retrieved from a single master. In this way, the costs for wiring and implementation are significantly reduced in comparison with analogue technology.